Fish and chips and mushy peas. Doesn’t get much more British than that. Unless…you do it the Persepolis way. If you too would sooner eat your party hat rather than face another array of supermarket party rubbish, this is a pretty easy platter of slightly different festive fare. Make pitta bread chips by heating pitta bread, splitting it, cutting it into triangles and frying it in oil spiced with coriander, cumin, garlic and chilli: drain on kitchen paper. Make fishy goujons by coating fish striplets firstly in seasoned flour, then egg and finally breadcrumbs mixed with za’atar (an Arabic thyme-based condiment comprising sumac and sesame): fry until crispy golden (and then either keep warm or reheat when required). And then…the piece de resistance. 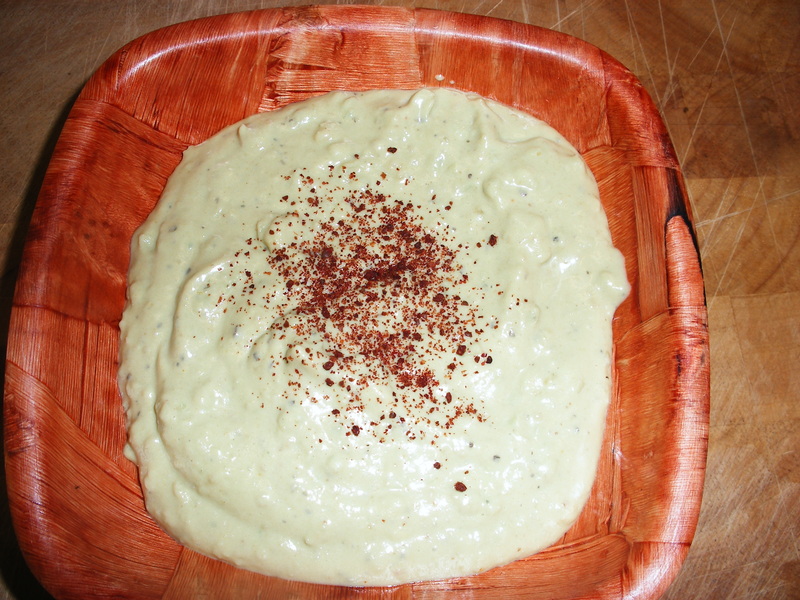 Mushy pea houmous* as a dip to go in the middle. If using marrowfat peas, drain most-but-not-all of the liquid away. Put all the ingredients bar the oil and salt in the goblet of your blender (or a big bowl if you are going to blend it all manually). Mix for a couple of minutes: you are aiming for a dip with texture rather than a homogenised green paste. Trickle the olive oil in and season to taste. Chill for half and hour or so (anything with tahina up it will thicken considerably in the fridge). Sprinkle with sumac before serving. Arrange your cooled pitta ‘chips’ and hot goujons (plus a few lemon wedges) on a platter with a bowl of pea houmous in the middle. Wrap some tinsel around your head. There: you’re all festive alreay. *Arabists amongst you will be quick to point out that houmous is actually the Arabic word for chick peas, and that a dish devoid of them shouldn’t really be given the same name. Well, call it culinary licence, but we did it anyway. © Persepolis 2012. Theme designed by Dean Nicholas, adapted from Storefront.